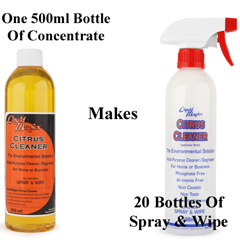 Product includes one 500ml Refill Bottle Only of Liquid Magics Citrus Cleaner Concentrate. The Ultimate Spray & Wipe now contains Lactic Acid a good de-scaler, soap-scum remover, and a registered anti-bacterial agent. The Environmental Solution Cleaner / Degreaser Super Strength Concentrate. That can replace all the expensive and toxic hazardous chemicals around the home or business and ....at a fraction of the cost! When you buy most commercial cleaners you are buying mostly water. With Liquid Magics Citrus Cleaner the environmentally friendly cleaner, you add your own water. We thereby pass the savings in mixing and shipping on to you. Why Pay for Water!! Save money while you are saving the planet. Just by adding water to Liquid Magics Citrus Cleaner - a concentrate made from natural citrus oils, orange oils -you can custom-blend your own cleaning products. You will be amazed at how this "Environmentally Friendly, Biodegradable, Non-Toxic & People Friendly" cleaning product matches and out performs most other products available today! Put Liquid Magics Citrus Cleaner orange oil to the test today!! 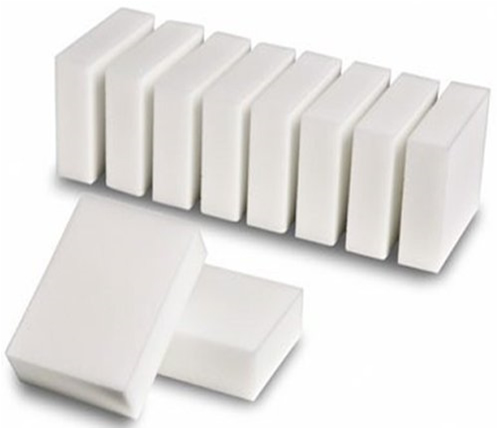 Instead of using a different product for every need. 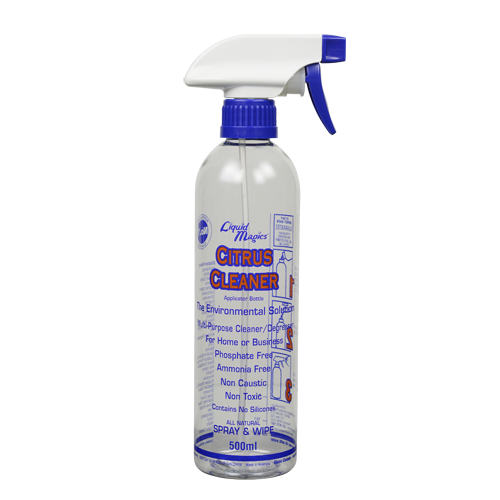 Liquid Magics Citrus Cleaner has the ability to tackle everything from light uses at home to heavy industrial and commercial applications. Why use Liquid Magics Citrus Cleaner? When you buy most commercial cleaning products you are buying mostly water. With Liquid Magics Citrus Cleaner orange oil you add your own water. There by passing the savings in mixing, logistics and advertising on to you. One 500ml bottle of Liquid Magics Citrus Cleaner concentrate when Diluted 20:1 is equal to 10 litres of general Spray & Wipe household cleaner. Less water means less energy to ship Liquid Magics Citrus Cleaner. Not only does it save on shipping energy but it means less plastic packaging and less water waste. 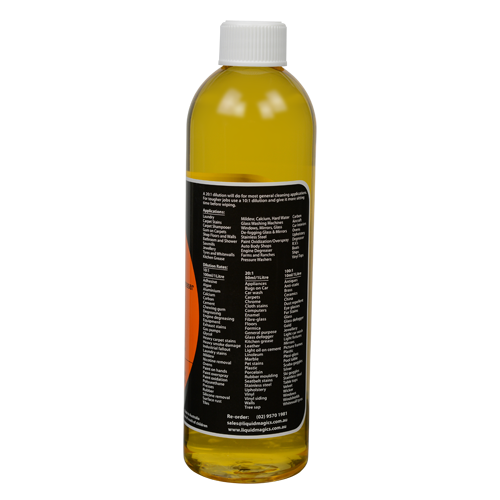 Liquid Magics Citrus Cleaner is an effective ALL NATURAL cleaner. So you are dramatically reducing your impact on the environment by moving away from harmful chemicals.